It is spring time and with the weather getting nicer it is time to utilize the outdoors. When living tiny, every square inch counts and many tiny home owners believe that their outdoor deck or just nature in general is an extension of their living space. To fully take advantage of the outdoors it is important to make sure to have the right outdoor furniture that is not only durable but multi functional for your lifestyle. 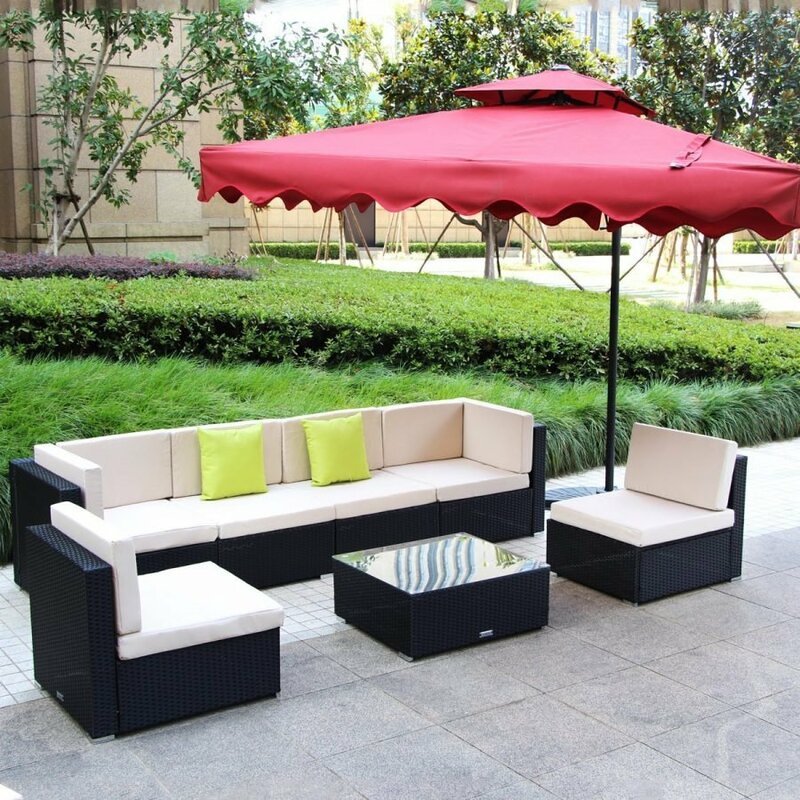 Having easy, portable, and multi functional outdoor furniture pieces will make hosting and spending time outside hassle free and convenient- especially for the summer when all you want to do is stoke up the barbecue and have a fun time outside. Check out these cool outdoor pieces that are great for any patio or deck for some easy entertaining. 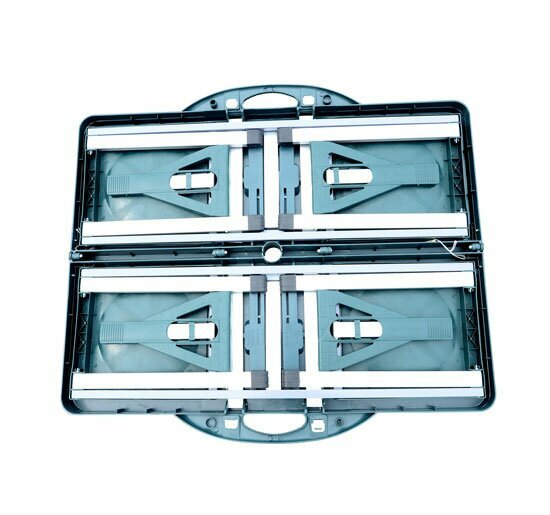 Need extra seating which can transform into a table or footrest? The Dror for Pick Chair is an awesome transformable fold out chair that can easily be hung up on your wall when not in use. Not only does it not take up too much room, but it is very unique and perfect for any outdoor party! This table is perfect for those who want to take advantage of the outdoors and have a nice meal. Not only is there a large table to set everything you need down, there is a small accommodating hole, perfect for to hold a large umbrella for some shade. Besides the waterproof table , there are four comfortable attached seats. 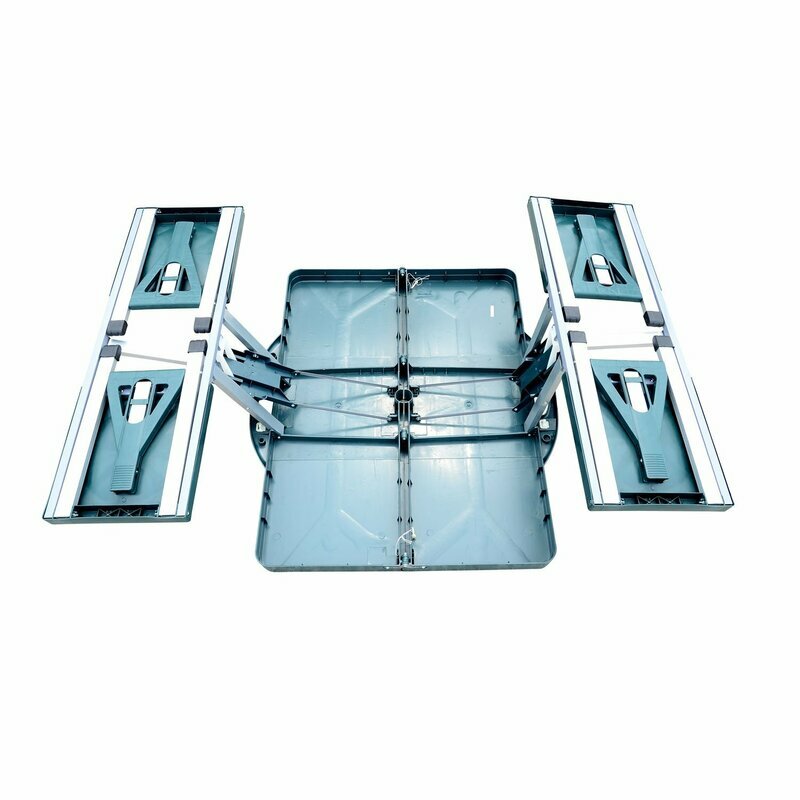 This table is light weight, and can collapse into a small suitcase size which is very easy to transport . Even better it comes in two different styles on Wayfair, one aluminum and one plastic. TCreated by designer Jessica Banks, the Ollie transformable chair and table may seem like an optical illusion. Unfolded the chair and table are large, spacious and perfect for entertaining large amounts of people. But when folded up, these furniture pieces are only one inch thick! How can this be? With the help of some string, the table has a mechanism that allows it to pull up and become vertical (almost flat). The table can double while flat, to serve as an interesting piece of art or privacy divider when not in use. Looking for a outdoor couch to lounge around, yet be sturdy enough to withstand the elements? The solution is the Campfield Futon! This ingenious piece of furniture was originally inspired by the outdoors and is a great piece to take with you for any outdoor adventure such as a camping trip, but it is also easy solution for a simple outdoor furniture piece that is made with lightweight aluminum and high grade polyester canvas- perfect for withstanding all outdoor weather. Even better this is not just a couch, but can serve as a bed, two individual chairs, a table top or three separate stacking shelves. Pretty neat right? This sturdy bench is great for enjoying the outdoors and can transform to have a table top for meals or to have a writing surface. When not in use, it can easily turn back into a bench with a supportive backrest. 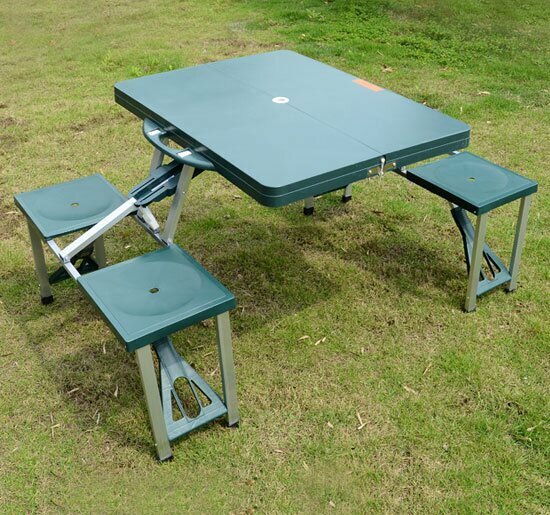 Not only is it durable, it can also be turned into a full sized picnic bench if you add another bench to it. Even better this table comes in two colors, one a faux wood brown and the other a lovely harbor grey. You can purchase this table on Amazon and receive it in a week!